​I first met Sarah Dyer at the Screen FourPaws Film Festival in November, 2017. She was running the Campaign Against Canned Hunting (CACH) table, an international NGO dedicated to stopping canned hunting of lions and the spin offs related to the industry. I stopped to talk to Sarah, as I had never heard of canned hunting. When she explained it to me, I gasped, my hand flying to my mouth in disbelief. UK Volunteers, and those from all around the world, are continuing to be misled/conned into believing that they are going to work on lion projects that have a conservation value. Volunteering organisations who happily sell these projects are playing on the compassion and goodwill of these volunteers and sending them to projects that have no ethical value and are purely breeding lions for commercial purposes. Volunteers are told that the lion cubs they help to raise or walk with will be returned to the wild, to reserves, or to zoos. It isn't possible to return these captive bred lions to the wild. Bearing in mind that there are around 8000 lions in captivity at this moment, it is also impossible for all these to go to private reserves or zoos. Therefore they will end up in the canned lion hunting industry. The film Blood Lions released last year, has created huge awareness of this industry and all volunteers should watch this film before deciding on booking a project. 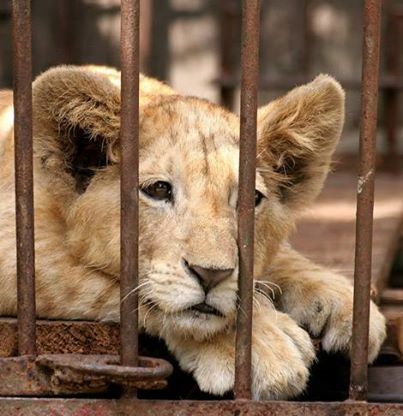 CACH is working with UK volunteer organisations to help them switch to ethical lion volunteering projects at facilities that do not breed, do not allow interaction and do not sell their lions. We were therefore very happy to meet with Gap 360 last week after they contacted us to talk about their projects. "Over the past year it has become increasingly obvious to us that there is a problem with projects that seem to have lots of young lion cubs, but few old lions. Where have these old lions gone? What happens to them? Although projects are keen to offer assurances that none of them have gone to hunters to be shot for trophies, they cannot adequately explain what has happened to the lions. ​We wholeheartedly support CACH in the work they are doing and will not be sending volunteers to any projects where there is any doubt at all as to what happens to the lions." The signatories to this letter, representing a wide range of international organisations with an interest in wildlife protection, congratulate the European Union on its proposed resolution aiming to strengthen international trade controls for hunting trophies. This resolution has been submitted for consideration at the forthcoming Conference of the Parties (CoP) to the Convention on International Trade in Endangered Species of Wild Fauna and Flora (CITES) (Cites CoP17 Doc. 39.1). We urge the European Union to robustly defend the key elements of its submission in any negotiations with other Parties, and to implement all aspects of its proposals internally, regardless of the outcomes at the CoP. The killing of Cecil the lion in Zimbabwe in July 2015 generated a great deal of public concern about the ethics and sustainability of trophy hunting. Subsequently, France announced a ban on lion trophy imports, and the Netherlands introduced a ban on the import of trophies derived from a large number of species, including lions. The United States also included lions on its list of threatened and endangered species in January 2016, introducing criteria that must be fulfilled before trophies can be imported. In addition, many airlines and transport companies have banned the carriage of trophy items derived from lions and other species. In Objective 2.1 of its EU Action Plan against Wildlife Trafficking communication, the European Commission included an expectation that implementation of EU rules on the importation of hunting trophies would be proactively monitored to ensure that such trophies are of legal and sustainable origin, with the first milestone set for the end of 2016. This goal has subsequently been endorsed by Council, reflecting the need for urgent action at an EU level to tighten controls on the import of hunting trophies. The EU remains a major importer of hunting trophies. Signatories to this letter have written to and met with European Commission representatives in recent months to discuss the EU’s processes in this regard, and have asked for greater clarity and transparency, and for high thresholds to be set before trophy imports into the EU are permitted. Reviewing CITES export quotas for hunting trophies and developing species-specific guidance for the harvest and export of African lion hunting trophies. are listed in Category I of the CITES National Legislation Project, and are therefore considered to have national legislation that effectively implements the Convention. Finally, we urge the EU to adopt a highly precautionary approach to the issuance of import permits for hunting trophies derived from species listed in the Annexes of the EU regulations, and that where there is any reasonable cause for doubt, permits should not be issued. Birgit Hampl, Board member, Rettet die Elefanten Afrikas e.V. ​Greetings from the World Travel Market at London’s Excel exhibition centre. CACH were invited to take part in a responsible tourism panel presentation and discussion held today at the London’s prestigious World Travel Market international tourism exhibition - on the pros and cons of tourism for wildlife conservation. CACH UK’s David Nash gave a presentation which highlighted the "conservation bandwagon” that sees unethical wildlife encounters being marketed to unsuspecting tourists as “conservation” and/or “research”. In the case of captive lion breeding in South Africa, he explained how this led to tourists paying to volunteer at breeding facilities, to pet cubs and to walk with young lions, thinking their money was helping lion conservation. 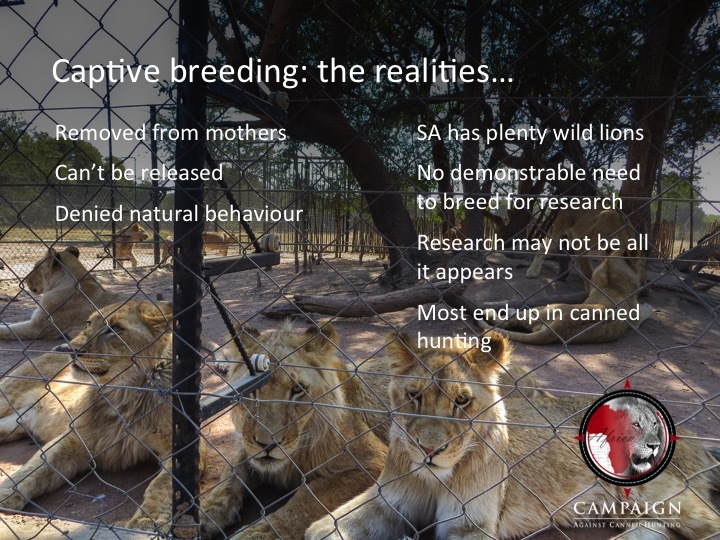 The reality is of course that the lions are bred for purely commercial reasons, are denied natural behaviour, and mostly end up being shot in canned “hunts”. The message to tourists is simple: do your homework and don’t be taken in by slick marketing. Choose ethical wildlife encounters - there are plenty out there!! Tomorrow the members of the CACH team are attending the WTM Responsible Tourism Awards - as a shortlisted finalist in one of the categories. Fingers crossed! CACH exposes the many issues on volunteering in S.A. I would like to thank Tourism Concern for inviting me to take part in their Voluntourism Conference on Saturday 24 October in East Croydon. The event was attended by around 60 people spanning those that had volunteered before, those that were thinking about volunteering and representatives from volunteering organisations. I was also delighted to see that ABTA were represented at the event, we are in discussions with them on their Animal Welfare Guidelines which are in the process of being renewed so it was particularly good to see them there and for them to listen to not only my thoughts but the thoughts of others on welfare issues around wildlife volunteering. The conference covered discussion sessions on why people want to volunteer, the affects of volunteering, presentations from ethical volunteering organisations and panel debates. The main topic of discussion was centred around volunteering with children and the effects that short-term volunteering has on them but we were also able to cover the issues of volunteering with wildlife. I took part in the last panel debate of the day with 3 other volunteers and we shared our experiences both positive and negative. I was able to discuss my negative volunteering experience at a lion breeding farm and explain to people about the connection with canned lion hunting. There were lots of questions which was great and people very kindly came up to me afterwards and were pleased that the issue had been raised and would be taking time to look at the CACH website so that they could inform themselves more on the issues. It was a great day for raising awareness! The Global March For Lions came together once again this year, as it did in 2014, to raise awareness over the diabolic industry that is canned lion hunting in South Africa. An industry that continues to operate one of the most unethical, inhumane, deceitful practices the world has known & seen. Organiser for the past 2 years Paul Tully, together with CACH teammates Malena Persson, Sarah Dyer, Faye Peeters, David Nash and Stavroulla Anastasiou made Trafalgar Square their base for what would be a significant moment in the battle against canned hunting ….. with a little help from some friends! Organising this years demonstration on a weekday meant we could actually set foot inside the South African High Commission (last years event was held on a Saturday), which gave us a fantastic opportunity to speak directly to the embassy official and hand over our formal letter of protest. We then invited a few protestors from the crowd up to speak, very briefly about why they were there for lions. So big thank you to those brave enough to say a few words, adding an amazing personal touch to the day. With feet inside the South African High Commission, heads turned and panic seemingly set in as we position around 100+ protesters directly outside the entrance to the embassy … and boy did they make a racket, “Save Our Lions .. Ban Canned Hunting” now echoed the halls, causing embassy officials to cover the entrance and internal staff looking out the window to protesters gathered below. We met with Counsellor Mr Peace Kennedy who graciously accepted our letter of protest to ban canned hunting in South Africa. Now imagine meeting an embassy official, inside the High Commission, handing over an official protest letter ... with 100+ protesters bellowing through the doors from outside. It was truly a humbling, significant moment, to feel and importantly for the embassy and Mr Kennedy to kindly meet with us and accept our protest letter. We thank the South African High Commission (London), Counsellor Mr Peace Kennedy, 3rd secretary Mr Oarabile Motlhaga for his assistance and the embassy staff for putting up with us. We’ll see you again soon!! We finished our day by thanking everyone for attending, listening, joining in and making what was a actually a great & significant day. We ended proceedings with a photo-call. Not just any photo-call, but one which featured each organisation with representation that attended on the day. 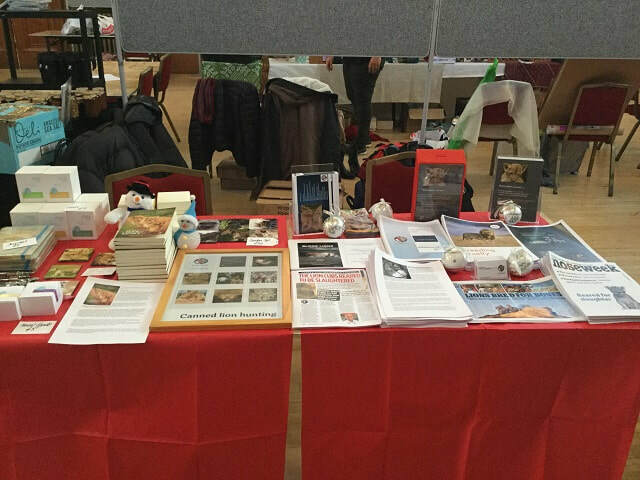 Many thanks go to the following for not only their continued amazing work individually, but also their promotion of our events and attending in person – Four Paws (UK), Animal Defence International (ADI), Global White Lion Protection Trust and PAL (Protecting African Lions). How big a challenge do we face? One of the clearest signals for our campaign and just how must awareness is actually needed, came when we were waiting inside the embassy. A South African gentleman passed by us, I asked him to confirm he was a South African citizen, he replied “yes”. I asked him if he had heard of canned hunting, he replied “no”. Hopefully, and just maybe, us giving this gentleman an educational leaflet and speaking with him about canned hunting, means he will now act, even if it’s simply passing this new found knowledge on to others … awareness is so critical and the simplest of actions can often be the strongest, most meaningful. I hope so. I really do. Ban Canned Hunting. We had a great event in London. Although smaller in numbers than expected, people were incredibly motivated and the atmosphere was brilliant. I felt very honoured to be part of this. Paul Tully (CACH UK) gave a talk about canned lion hunting as part of a special gallery exhibition opening in support of the documentary film 'Death for a Trophy' by Marta Ariza. Paul was approached last year by Marta, who had filmed a short documentary on canned and trophy hunting in South Africa. Marta is now working on a long format version of Death for a Trophy. Marta had accompanied and interviewed Paul in November last year when CACH UK handed yet another protest letter into the South African High Commission in London. So when Marta began planning a photographic exhibition in support of her film, Paul was approached to partner with the film and give a talk on canned hunting. With the film highlighting and discussing both the canned hunting and the general trophy hunting industry, Paul drafted in Born Free and Global White Lion Protection Trust to also give talks on the night, with Dominic Dyer and Chris Taylor Reed both speaking on the night respectively. "It had been a long day as we'd had the protest against canned hunting earlier in the day. To be asked by Marta to be involved was a privilege and giving a talk on the night was a fantastic opportunity - it's all about awareness first and foremost because without that, we won't have any subsequent calls to ban of lion trophy imports or reduction of tourists & volunteers to South Africa who participate in petting and walking with lions at these horrendous facilities." "Marta's initial short documentary is great, with both sides of the hunting argument being represented, having our input is all we need and people can make their own ethical decision based on what they hear or what they don't hear. The photographic exhibition supporting the documentary is beautiful, I see wildlife images everyday as part of my work in the safari industry and they are truly great wildlife images." The Death for a Trophy gallery maintains the films talking point, that of the death and killing of wildlife for a trophy. Next to each main photographic print is a small description of that species, its vulnerability and what exactly is happening to them, some include an image of the trophies themselves once they've been killed and mounted ... "it's thought provoking. You will immediately view this beautiful image of see a proud African Lion, then your eyes draw to the smaller image next to it of a mounted trophy, it makes you think... this stunning, intelligent creature has gone from THIS to THAT?! Personally it's incomprehensible to me, hence why I'm here speaking to people and creating awareness, it's simply wrong on so many levels and highlights man's selfish approach in this world .. it's that same mentality of man thinking he can simply do as he wishes that brought us slavery. Stop it!" Following the success of the gallery and Marta's short documentary, Marta is busy working on the long format version of the film. Plans are already in place for CACH and Marta to continue working together and along with other wildlife charities, plan to also continue this film presentation & talk partnership. Thank you to Born Free and Global White Lion Protection Trust for their passion and friendship, their talks on the night added great value to the film's discussion point. Big thanks to Marta - a passionate, talented filmmaker/photographer who has a clear focus and excellent attitude to presenting her film. We hope the film is a huge success and we look forward to working alongside Marta in the future. Green Party MEP's approach European Commission on growing practice of 'canned hunting'. Following Campaign Against Canned Hunting's awareness and subsequent Global March For Lions events across the globe on 15th March 2014, Green Party MEPs Jean Lambert (London) and Keith Taylor (South East England) wrote to the European commission to highlight the growing practice of ‘canned hunting’ – in which lions are kept in captivity for tourists to shoot. "‘Canned hunting’ is the practice of shooting captive-bred lions in enclosed spaces for sport. Parts of lion carcasses are then retained as ‘trophies’ and, in many cases, brought back to Member States by their owners. Would the Commission consider introducing legislation to ban the import of such ‘trophies’ into the EU? Such a ban would create a disincentive for the continuation of this abhorrent practice and is consistent with Parliament’s resolution of 15 January 2014 on wildlife crime (2013/2747(RSP)), which called for a possible revision of the EU’s legal provisions governing the import of hunting trophies into Member States." (2) on the protection of species of wild fauna and flora by regulating trade therein which would go beyond CITES requirements for import of hunting trophies of a number of species into the EU, including lions. On that basis, and in cases where there are concerns about the sustainability of lion hunting in certain exporting countries, those new rules would give the possibility to the Commission to suspend imports of lion hunting trophies into the EU."